Photo Frames are beautiful gifts gifted to your loved ones on any occasion. 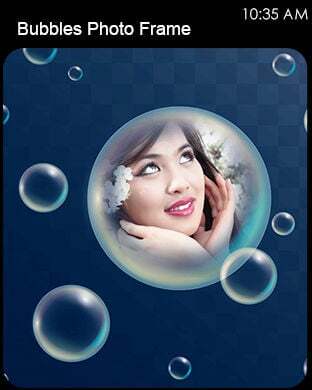 Bubbles Photo Frames is one such app designed to decorate your photo with a Bubble photo frame. The Bubbles Photo Frame comprises of the Bubbles as the background. 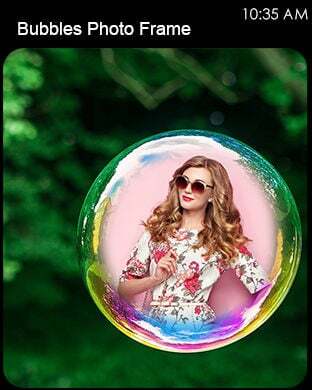 Select a photo and place it on a photo frame with the Bubbles scenery at the background. 1)Select a photo from the gallery and place it over the frame. 2)Prepare a photo frame of your friend and share it across the social networking sites, surprise them with beautiful photo frames. 4)You can re size the photo to fit it into the frame. - Easy save and share.